I makes no difference where in California you live as there will always be an insurance agent available. 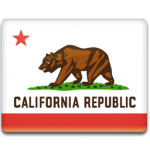 You can find a listing of insurance agents in California on this website as it covers the entire State of California. There are auto insurance discounts for those who qualify. See the drivers laws in California below. The traffic laws in California are tough as you can expect fines of more than $1,000 and impounding of your vehicle is not unknown. With this in mind always consider proper auto insurance while in California. There are many discounts offered in California when it comes to car insurance. California Insurance Code (CIC) § 1861.02 states that “Good Drivers” will receive at least a 20% discount on their monthly premiums. there are a number of auto insurance agents in Bakersfield, Oxnard, Riverside County, Sacramento, San Diego, San Francisco or San Jose. See the links above for more information about insurance agents in the State of California as this website only gives a very brief overview of what you will need to know. There is also a California Deductible Waiver which during a collision the insurance company will pay the collision deductible on your car. These are all viewed as insurance discounts. Note also that should the State of California not be able to verify your insurance that they will send you a letter stating that they plan on cancelling your car’s registration. Note that these would be the minimum needed to cover your insurance. Normally you would take a much larger auto insurance coverage in the event of an accident. Speak to an insurance agent for further advice and assistance. Stop by or call an agent in Bakersfield, Oxnard,Riverside County, Sacramento, San Diego, San Francisco or San Jose today. You can apply for a drivers licence in California from the age of 15½. Note that a driver who wants to be fully licensed then a training certificate is required and a provisional permit. The California DMV will administer a driving test before a full license is issued.